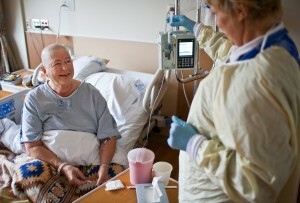 Patient-centered medical homes offer patients of all ages with access to team-led health care. Michelle James, chief nursing officer at Providence St. Peter Hospital, decided to reapply for Magnet recognition to show a continued commitment to the type of quality care Providence St. Peter Hospital strives to offer its patients and the community. At the core of any good medical facility is a team of quality, caring nurses. With nearly 3.1 million registered nurses (RNs) currently employed in the United States, nurses make up the majority of any hospital’s staff, providing the bulk of all care administered to patients. With nurses taking on everything from general patient care and case management to specialized care services and more, having a team of top-notch nurses at your bedside means you can rest assured knowing your health is in good hands. This is especially true for Thurston County-area residents. Earlier this year, Providence St. Peter Hospital in Olympia received Magnet designation from the American Nurses Credentialing Center for the second time in a row. The Magnet Recognition Program is designed to recognize health care organizations that go above and beyond in providing quality, innovative care from the hands of well-qualified nurses. The designation is regarded as the gold standard for nursing excellence. Providence St. Peter Hospital is one of only three medical facilities in the state and one of 375 out of nearly 6,000 health care organizations nationwide to receive Magnet recognition. It is an outstanding local choice for quality care, right here in Olympia. 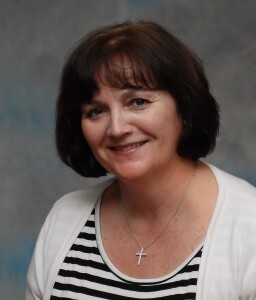 Michelle James, chief nursing officer at Providence St. Peter Hospital, says deciding to reapply for Magnet recognition was less of a choice and more of a continued commitment to the type of quality care Providence St. Peter Hospital strives to offer its patients and the community. “The reason we’ve made this decision is because we believe we need to continue to raise the bar on quality and continue to challenge ourselves to provide the best quality of patient care and nursing care to the whole community,” says James. With a previous Magnet designation from 2010, James says the nursing team at Providence St. Peter Hospital knew what to expect the second time around, but that didn’t make qualifying for the prestigious designation any easier. Offering up some of the best care in the country, Providence St. Peter Hospital in Olympia is proof that you don’t need to leave the area for quality care. This ongoing process holds health care organizations accountable of a higher standard even after the award has been given, inspiring hospitals like Providence St. Peter to continue to set goals and raise the bar. James says through the hospital’s first Magnet designation, the nursing team at Providence St. Peter Hospital was able implement new processes and record data in a way that allowed them to evaluate and improve upon old methods. All of this data was documented and submitted in Providence St. Peter Hospital’s re-designation application, which James says is akin to a college thesis. After the application was submitted, the American Nurses Credentialing Center scheduled a site visit allowing representatives from the credentialing center to observe the nursing team in action. For Providence St. Peter Hospital, receiving this level of achievement — not once, but twice — is a huge accomplishment, but James says it’s the patients and community that benefits the most. In addition to being recognized with one of the best nursing teams in the country, the American Nurses Credentialing Center also identified three particular areas where Providence St. Peter Hospital excelled. This included St. Pete’s Sexual Assault Clinic, No One Dies Alone (NODA), and the hospital’s community-wide geriatric care. To learn more about Providence St. Peter Hospital, visit Providence St. Peter Hospital online or call 888-492-9480.